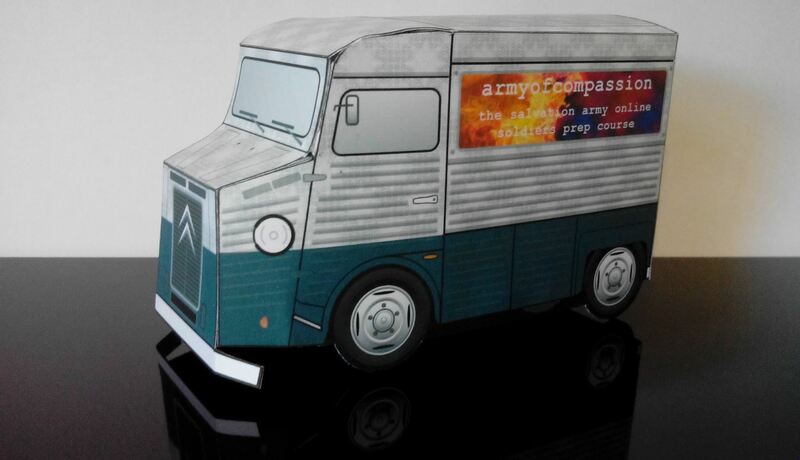 CLICK on the ArmyofCompassion Paper Truck LINK below. PaperTruckLogo_ArmyofCompassion Print out as many copies as you can use- Print onto a medium to heavyweight card-stock or photo paper. *Cut out, and assemble. Scissors & glue required. QR Code and link to site appears on the bottom of your Paper Truck! Tell your friends! Download your FREE armyofcompassion FlexTangle! Awesome! Safe travels, inspiration for ministry, and sweet, well-earned rest be yours!